Marable, A Top Civil Rights Scholar, Dies At 60 : The Two-Way Manning Marable, one of the leading scholars of African-American history in the United States, has died at age 60. He had been hospitalized with pneumonia last month, according to reports. His book Malcolm X: A Life of Reinvention is coming out Monday. 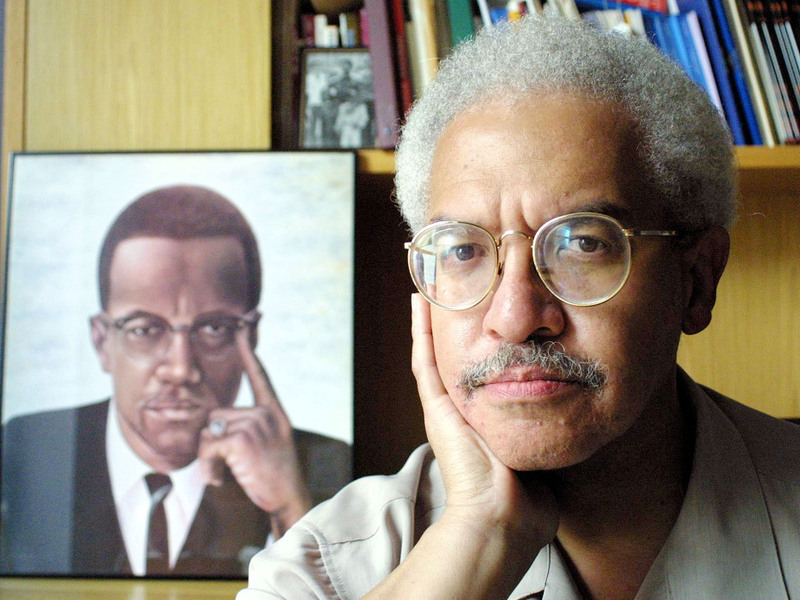 In his career, Manning Marable wrote about the struggle for equal rights — and especially the life of Malcolm X. In this file photo from 2001, he posed at his Columbia University office in New York. Manning Marable, one of the leading scholars of African-American history in the United States, has died at age 60. He had been hospitalized with pneumonia last month, according to reports. "He would want to be remembered for being both a scholar and an activist and as someone who saw the two as not being separated," Manning's widow, Leith Mullings Marable, told The Root. Marable, professor of history and African-American Studies at Columbia University, is known for his well-regarded books on the American Civil Rights movement, the meaning of race in America, and the tension between race and democracy. Marable had suffered from the lung disease sarcoidosis for much of his adult life; he had a a double lung transplant last summer. Slaves couldn't free themselves by themselves, so it had to be a movement. It comes from a group of people deciding, 'We will sacrifice individual choice for the benefit of the group.' That's the logic of trade unions, the women's rights movement and the lesbian and gay movement. In other words, emancipatory freedom is group freedom. Freedom is not found through multiple choices, but goals for all. Everyone should be able to eat, everyone should be able to vote and have decent schools. Marable appeared on Democracy Now in 2007, to discuss his work on a biography of Malcolm X. That book, titled Malcolm X: A Life of Reinvention, is coming out Monday.